These are two very historically significant photographs. After the fatal crash of his teammate Francois Cevert in practice qualifying for the 1973 United States Grand Prix at Watkins Glen, Jackie Stewart retired one race earlier than intended and missed what would have been his 100th Grand Prix. Nevertheless, Stewart still won the drivers' championship for the year. 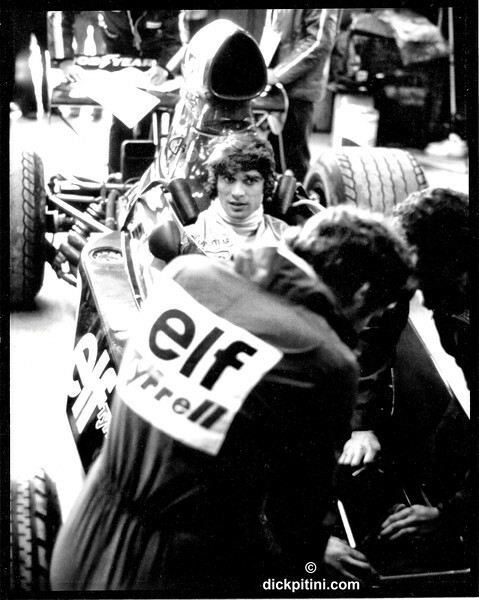 The shot of Cevert was taken by me Saturday 6th October, just moments prior to his qualifying lap and his death. 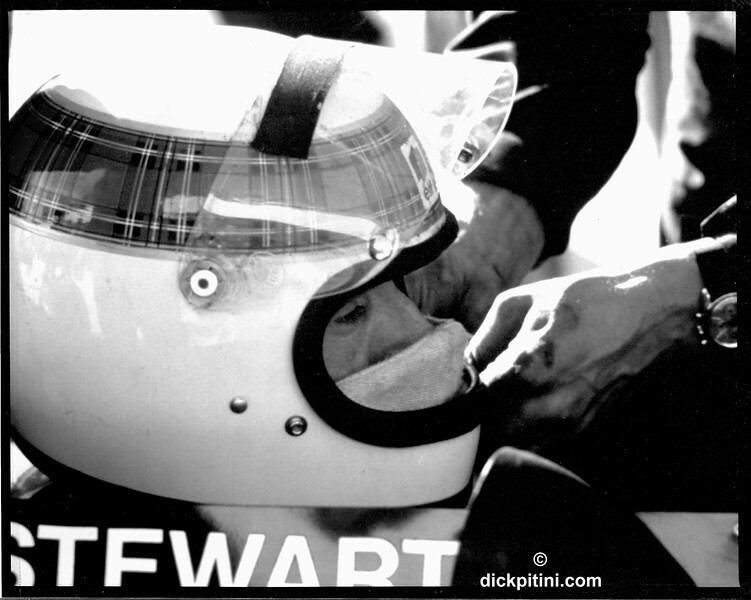 The shot of Stewart was taken by me Sunday 7th October when prior to the start of the 1973 United States Grand Prix he made one parade lap around the track and then retired.